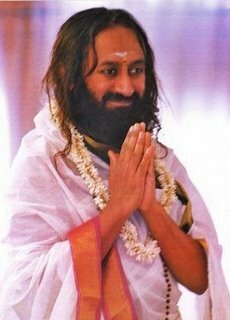 Sri Sri Ravi Shankar - Celebrating Life with Silence: Where Love Is, God Is! 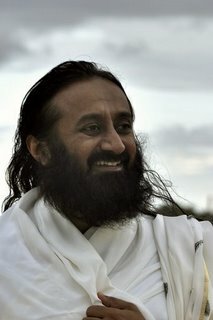 Gurudev, who are you? Are you God? Do you know everything? What is a Guru and why are you a Guru? Why am I Guru? It just happened by accident. I kept sharing what I knew and people started calling me Guru. That’s how I became a Guru. What is a Guru? The word coach or guide has come from the word Guru. If you want to play soccer, or go to the gym, or drive a car, you need a coach, don’t you? If you need a coach for simple things like driving or playing soccer, don’t you think you need a coach to delve into some unknown realm of consciousness? Don't you think you need a coach for meditation? Definitely you need one. Now if you ask me, 'Are you God?' I would say, 'Yes'. I would say, 'You too are God'. What is meant by God? God is not somebody sitting up in heaven, love is God. What did Jesus say? Love is God. Are you not love? Am I not love? The whole universe is made up of a vibration called love and that is what I am and that is what you are. So in India we say, mother is the first God, and you must see God in your mother, father, teacher and also in a guest. You must treat your guests as God, because you don’t know in what form God will come to your door step. So don’t see God as some separate entity sitting somewhere in heaven trying to give you a little finger, which if you try to catch, he goes further away. This concept of God has given rise to communism and atheism in the world. If you understand God as energy, as love, as a presence, as a being, as sum of the whole creation, then there can be no atheist left on this planet. This is a scientific way of seeing what God is. God is Love, can anyone deny love from existence? Can someone say love doesn’t exist? If they do, they are blind. They don’t know. So first you should know what God is. God is not a person with too many legs and too many hands sitting up in heaven. A man with a long beard, no. The concept of God is what has created lots of problems in the world and divided people into religions and sects. We should always think scientifically. If you see scientifically, we are all made up of one thing and that is God. That’s why the ancient people all over the world including Canada always felt that God is in the mountains, trees, rivers. The native people of this country believed that God is present in nature, in the directions, in mountains and rivers, and they are right. The ancient Vedic system also says that God is present in the creation, just like how oil is present in the sesame seed. So see God everywhere. If you see God within oneself, you will see God everywhere. A Guru is one who helps you find God in yourself and in everyone. Beloved Gurudev, you often talk about multiple realities. Please tell us some more. Please tell us more about angels, guardians, devas, etc. Yes, it is altogether a very deep subject. As I said, the world is of multiple layers. On one level of quantum physics, everything is made up of just one thing. But when you come to periodic tables in classical chemistry, then it is different. There are different metals and different substances. Both are true. Classical chemistry is as much a reality as quantum physics. So all these angels, guardians, spirits, souls are like classical chemistry. If you see your earrings, your bangles, your chain, all are made up of gold, but a bangle cannot be a chain and chain cannot be a earring. They are all very different. Similarly, this entire hall is all made up of wood, but still the flooring is not the ceiling and the ceiling is not the door and doors are not the stage. So they are all very different. It may be very contradictory when you just listen to it. This whole hall is made of wood, but the floor is different, ceilings are different, pillars are different. They are all different. This is what many people miss. That is why this creation is very intriguing and very complex. Understanding the creation itself is a challenge. It is moving into the mysteries. Sometimes you cannot explore all the mysteries but you can live them fully.Living the mystery is spirituality. Understanding them is science. They go hand in hand. 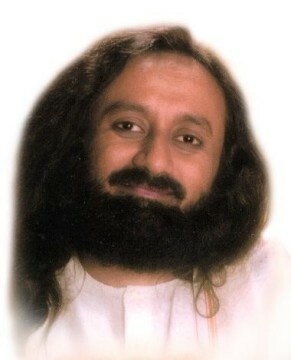 Dear Gurudev, the most important person in my life after you, is not talking to me. What should I do? Also, he was not very happy with my coming here. What should I do when he behaves badly when I have done nothing wrong? Have patience! You be nice to him and he will turn around. You know, sometimes people are scared because they think your love for them has reduced when you do other things. So give them the confidence that you love them most. It is all about just wanting some attention, that's it. Dear Gurudev, what is the most effective way to deal with obsessive thoughts? Just embrace them. The more you try to push them away, the more they come. If obsessive thoughts come, give them a big hug and stay with them for a minute or two and you will see, they just disappear. Another way is to put a stick in the burning fire and watch it burn. That is how your thought is burning away. One more way is to watch a flowing river and how the water flows. As the current flows by, your thoughts also flow. Many people go on top of bridges, or where there is water flowing to commit suicide, but when they see the water, they change their mind. This has happened to many people, but not all. There are several who have jumped from the Niagara falls also. They were not looking at the water, they were caught up somewhere in the mind. Obsessive thoughts can be overcome by these means but best is pranayama, mediation and knowledge. Read some Yoga Vashishtha. Just wake up and see this whole thing is a dream. The moment you observe this is all a dream, the mind snaps out of the past and from obsessions. Gurudev, today while doing gardening seva, I sprayed natural insecticide probably killing a thousands of bugs. How does this fit in with karma and non-violence? Don’t worry, you can kill a mosquito, no problem! You see, violence is the act that you do with anger or some selfish goal. When animals prey for their food, it is not called violence. They are just doing their dharma. Similarly in your body every day, millions of bacteria are dying. It is happening as a phenomenon inside of you, otherwise you cannot survive. The moment a harmful bacteria enters your body, all your white blood cells attack and finish it, and that is how you get a cold. What is done for survival or safety is not called violence. Violence is the act done with negative emotions like anger, jealousy, hatred, greed, arrogance. Otherwise, when you breathe in and breathe out, you are killing many germs, does that means you should stop breathing? When you take a shower, many bacteria are dying, does it mean you are killing them? There is a sect on the planet that don’t take bath because they think they are killing the bacteria. They don’t get into the water. They simply wipe their body with a towel. I think that is foolish. Nature is pouring water and giving you rain. Every animal in the forest takes a shower the whole season. So bacteria, mites, insects are dying, but if it is done for the sake of survival, it is not violence. Only when it is done with negative emotions, it is violence. That is why Krishna says in the Bhagavad Gita, 'You are only doing your duty. It is not a sin. Don’t worry. Even if you are doing a sin, I am there to take away your sin. I will set you free. You be happy. You do your duty and be at peace'. This is the essence of the Gita. See, a policeman trying to control a mob, his action is not violence. It is his duty. If he doesn’t do it, he is violating the law. What about the meat industry? Is it violence? Meat industry, I would say is outdated now because people have started understanding how our whole system is made for vegetarian food. We are herbivorous because our immediate ancestors, apes are vegetarians. Monkeys, cows, zebras are vegetarian. Most of the domestic animals are vegetarian and our system is made for vegetarian food. Personally, if you see the way the animals are tortured to make food for you and you look into their eyes, nobody will touch that food because we all have a human heart, compassion and sensibility. The meat industry keeps unaware of how it is produced and they only give you the meat to consume it. But once you see how it is produced and how much torture the animal undergoes, you will abstain from it. Today with the growth of natural food, people have changed their preferences. In North America, a large section of the population has found health in vegetarian food. What really is the mind without thoughts? It is nothing. A bundle of thoughts is what the mind is. When the thinking stops, that is the no mind state. That is what happens. It happens for a few moments in meditation and then you feel very good.